A new restaurant within Visual – Centre for Contemporary Art & The George Bernard Shaw Theatre needed a corporate identity that was both welcoming and yet sophisticated to match its environment. 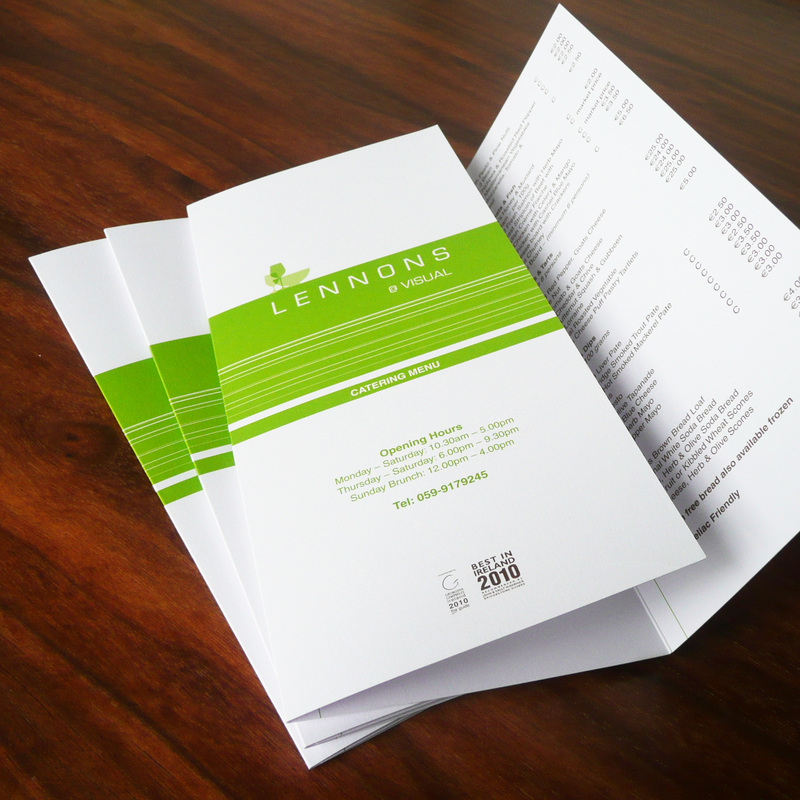 An unusual green adds a rich flavour to their contemporary corporate stationery. Why not sample the many temptations on offer? 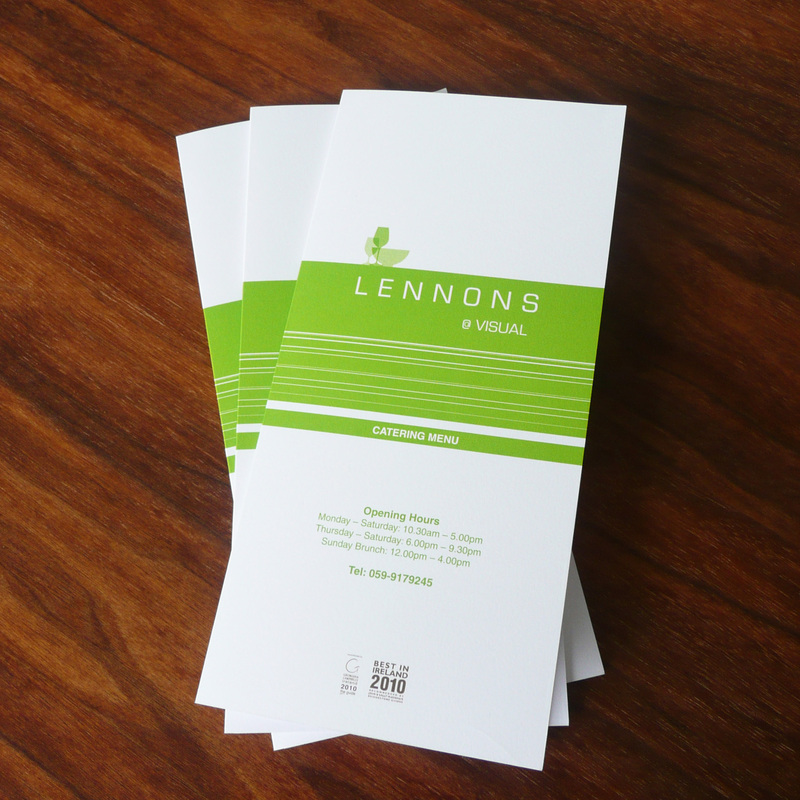 Lennons’ catering menu with a wide selection for small, medium and large catering events. Use of uncoated paper gives this catering menu a quality feel.Love the look and feel of this Lennons website that’s easy to navigate yet very functional. Hoping to include a gallery section and some tempting menus soon so watch out for updates. Love the look and feel of this Lennons website that’s easy to navigate yet very functional. Hoping to include a gallery section and some tempting menus soon so watch out for updates.